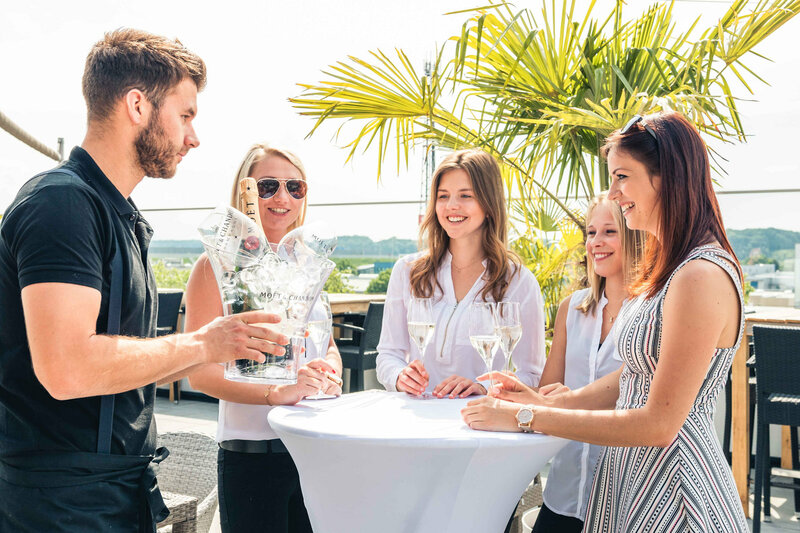 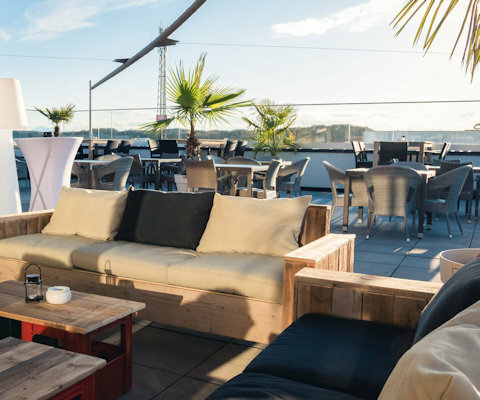 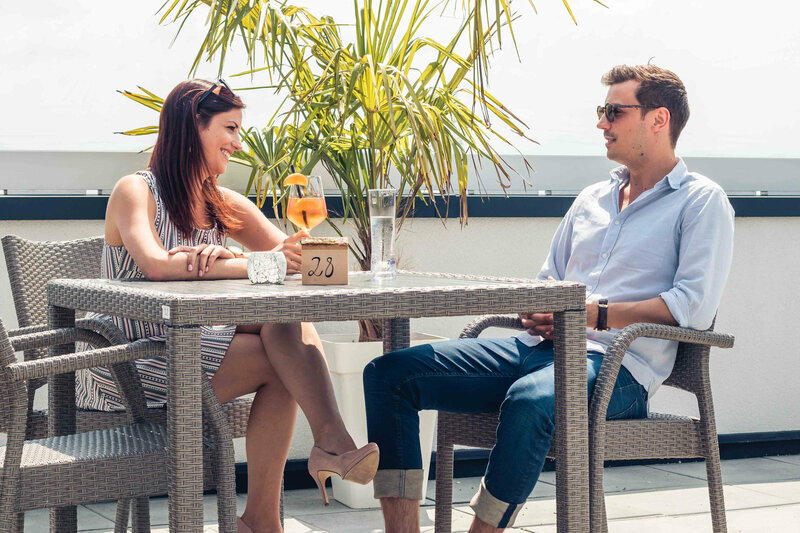 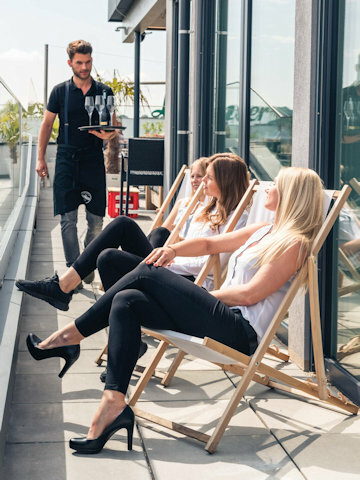 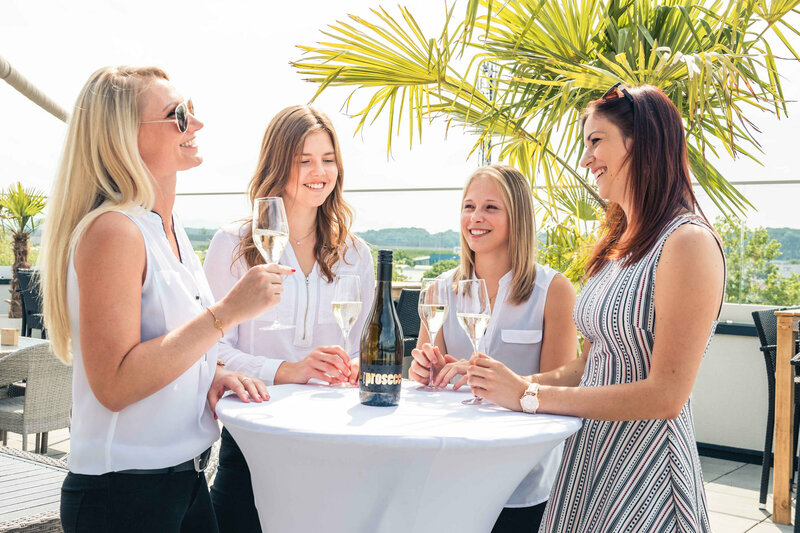 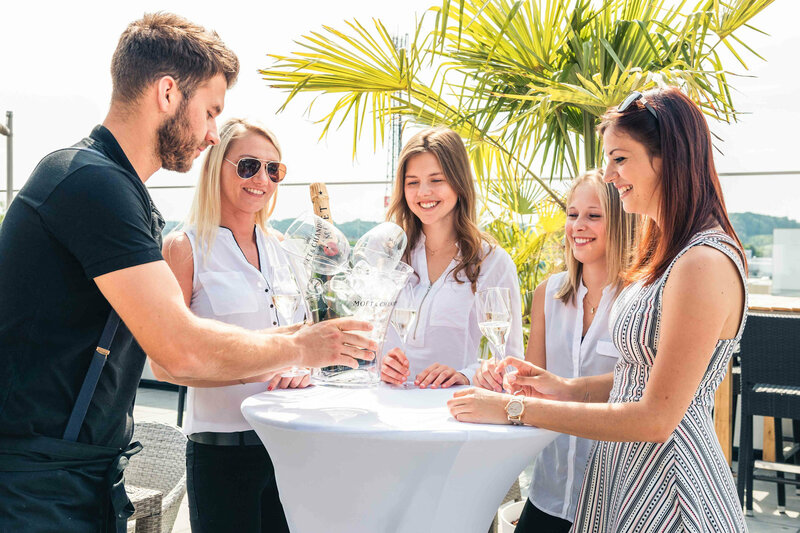 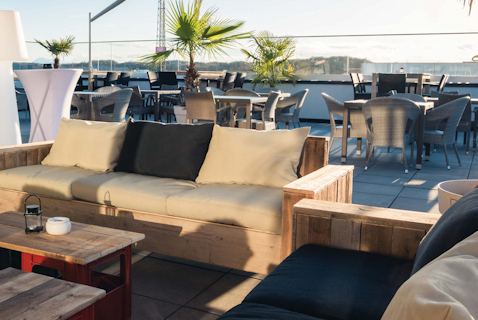 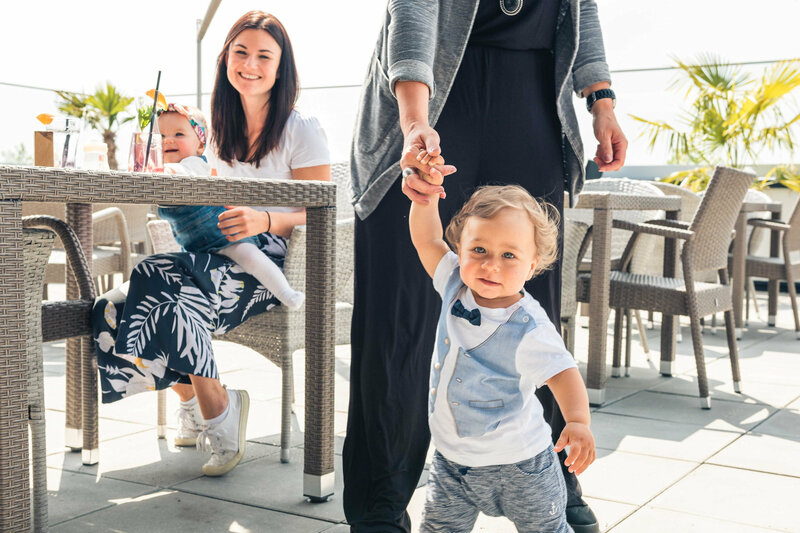 In the ALFRED at 200m² St. Pölten's first roof top bar is awaiting you, our SUNDECK! 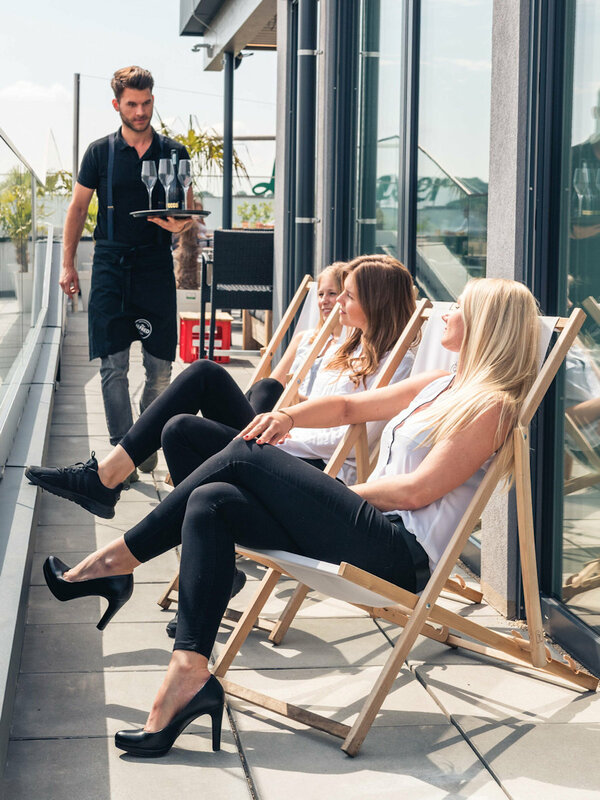 Undertake in the middle of the hectic city a relaxing journey away from the dullness of everyday life. 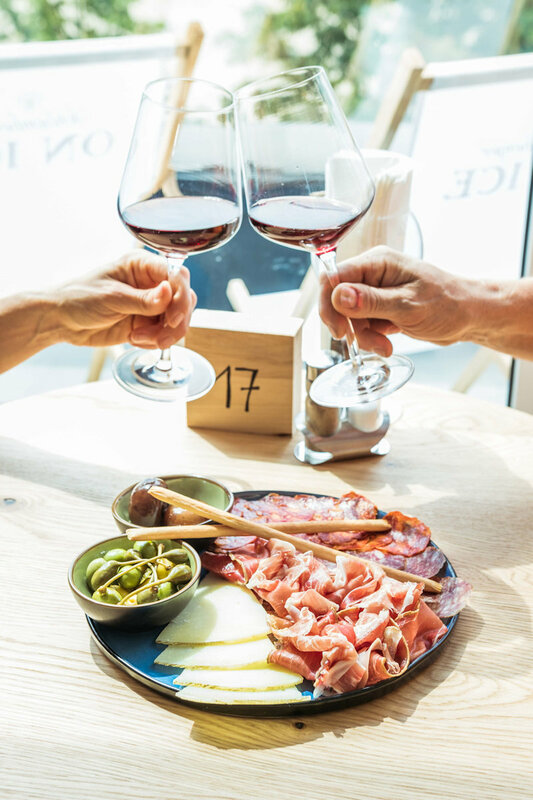 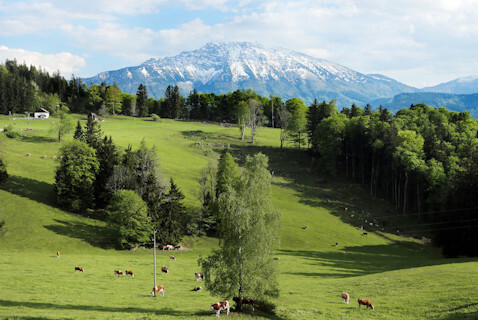 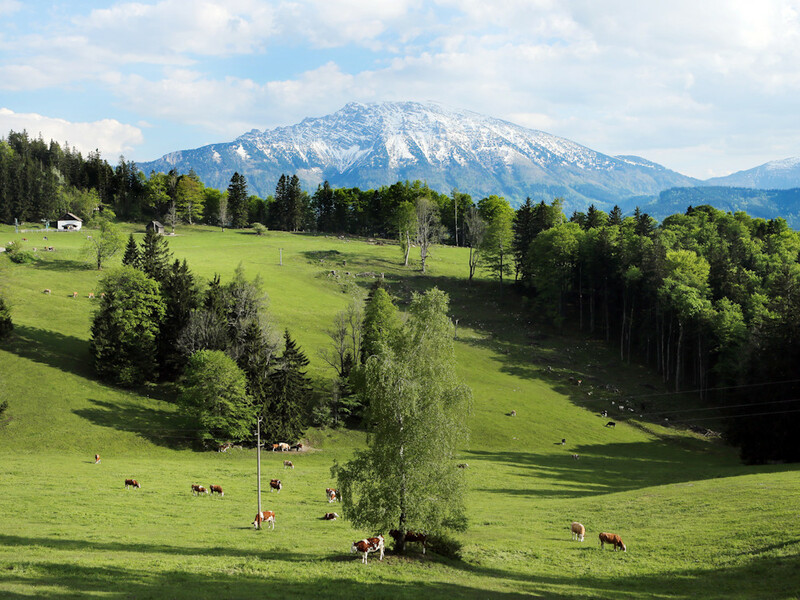 Enjoy at the SUNDECK a stunning view at the Prealps and greet the impressive Ötscher, gaze at the sunset in wonder and during mild evenings get some exquisite cocktails and delicious snacks served. 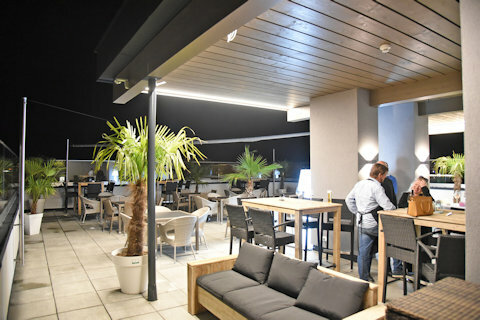 Moreover, at the SUNDECK we are surprising from time to time with specials like barbecue, SUNDECK-lounge incl. unwinding house-music and much more. 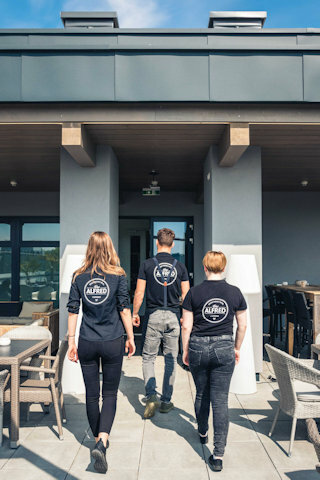 Come on board - Cast off!